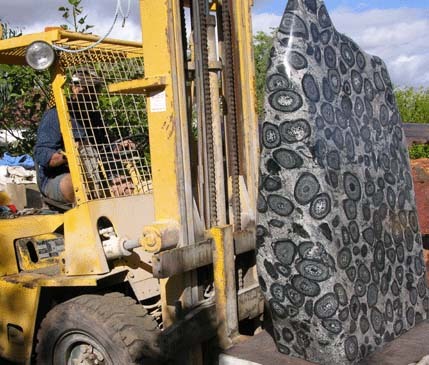 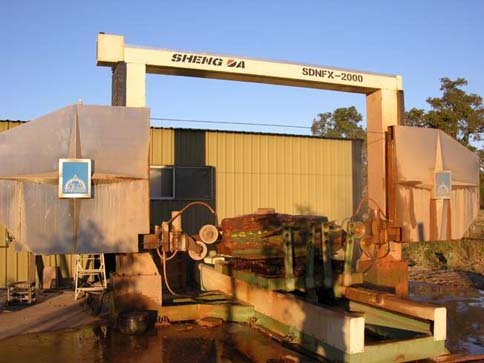 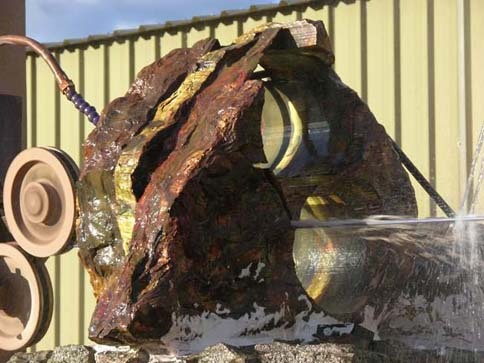 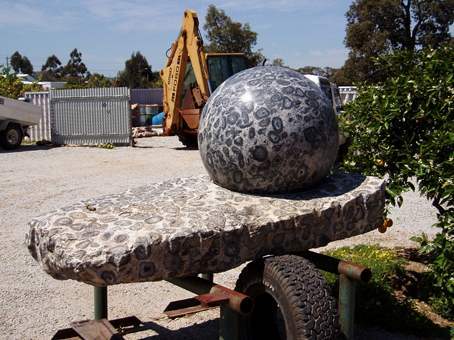 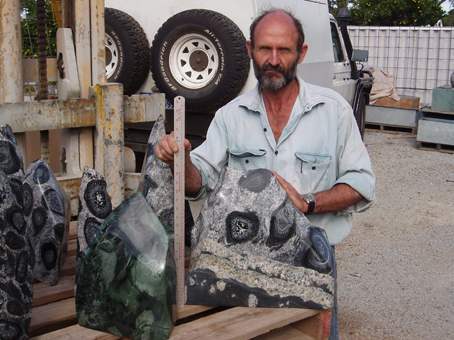 I operate my business Floating Stones in the Swan Valley in Western Australia. 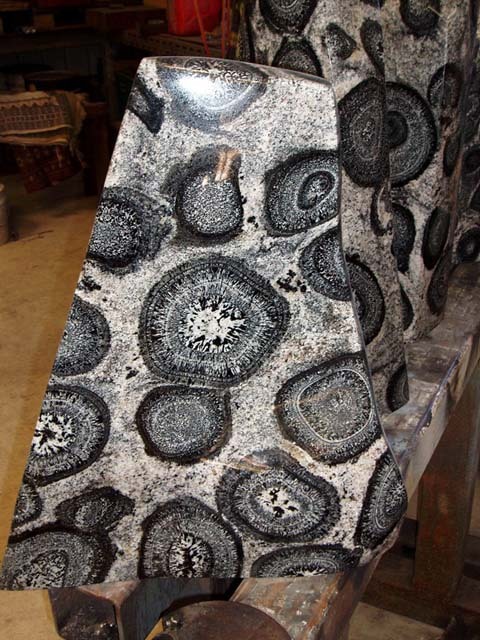 This wire saw handles very large pieces of stone and is good for slabbing and preforming spheres. 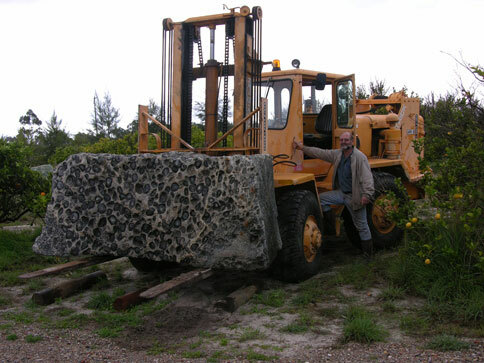 It is computer controlled. 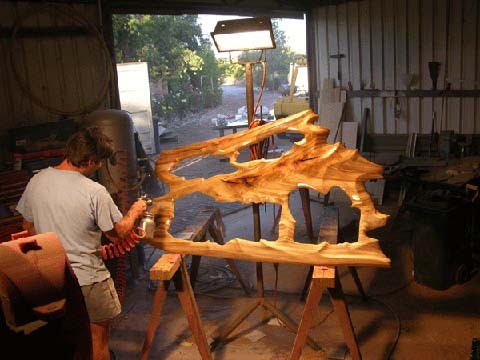 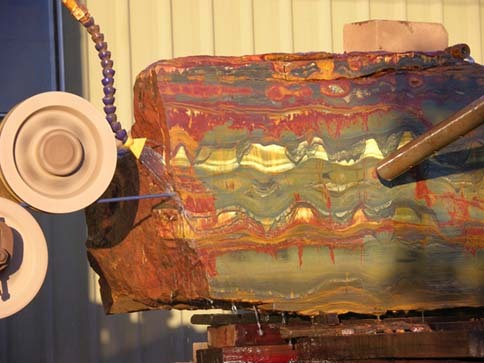 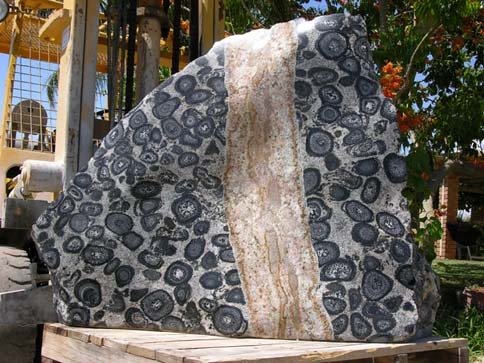 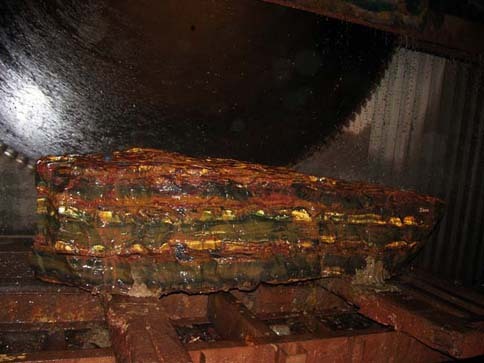 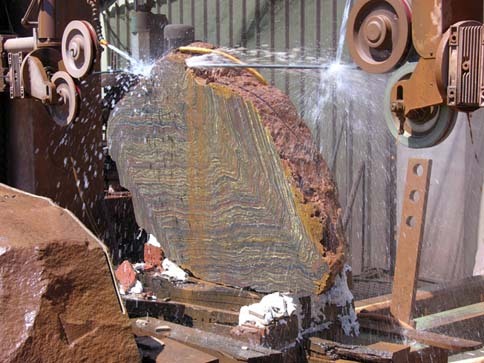 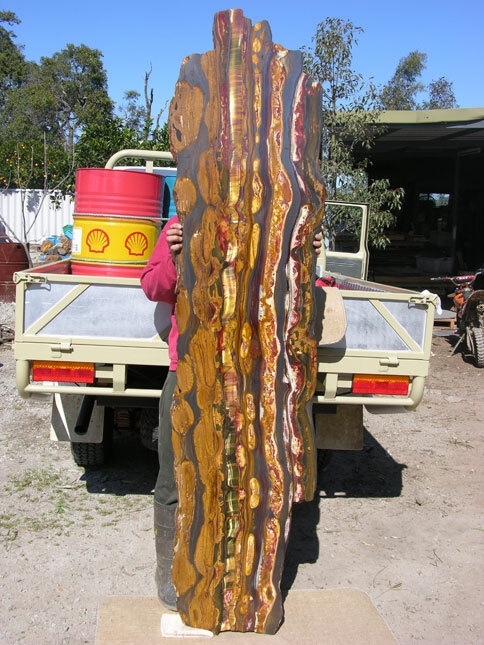 A large piece of tiger Iron can take as long as a day to cut. 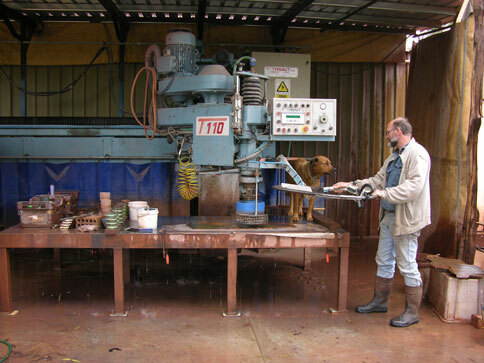 Cutting preforms for spheres with the wire saw. 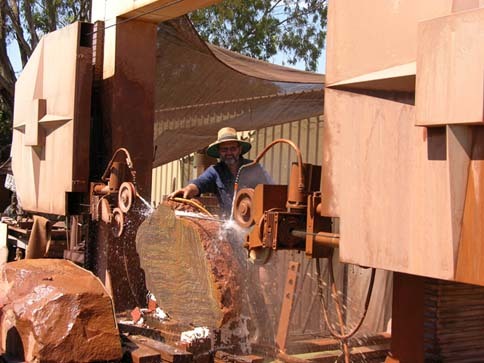 Cutting slices of stone with the wire saw.